When it come to the obscure and horror games I really like to search out the titles you may have never heard of and today’s game is no different. Avenging Spirit – I have seen this title floating around on the 3DS virtual console for quite some time and decided to recently pull the trigger on it. This is a Game Boy game released in 1991. You play a nameless character who has been gunned down by the mob and who’s girlfriend has been kidnapped. You wake to find this whole mess was your girlfriends fathers fault as the mob wanted to obtain his research on ghost energy. The father now has the balls to ask you to rescue your girlfriend before you fade away into the afterlife. Oh did I mention you’re now an adorable cuddly looking ghost? Yeah the story of Avenging Spirit sounds a lot darker than its appearance would lead you to believe. 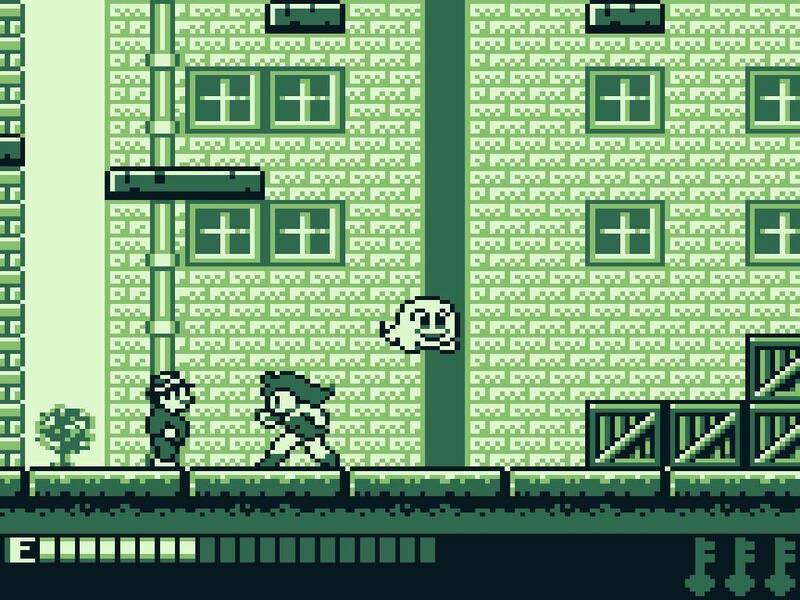 Avenging Spirit is a 2D action game with some light platforming elements. As this cute and difficult to cuddle spirit you have the ability to possess enemies. As the ghost you’re invulnerable but your energy will constantly deplete unless you find a host, if your spirit energy completely expires its off to heaven with you and the game is over. Fortunately this game has unlimited continues so you can re try as many times as your patience will allow. You can posses practically every enemy type in the game except the end of level boss which creates a very interesting mechanic. In your possessed body you have a separate life bar and specific abilities. If you possess a gangster you can shoot a gun, possess a snake charmer and you can jump infinitely, posses a kangaroo and you can breathe fire? Don’t remember that about kangaroos- they should maybe highlight that at zoo’s. 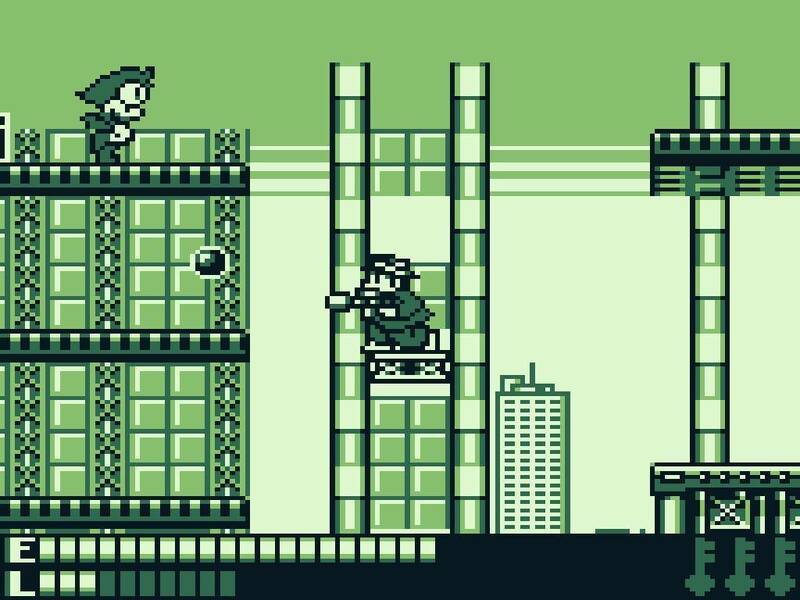 – Anyway the point is, this provides a various options to reach the end of the level and also provides a lot of replay value. If the host dies you simply float out as an adorable ghost and go possess another host as fast as possible. You can also manually exit the host (they seem to die somehow without you inside them) if you see a more fitting strategy elsewhere. The game also offers two alternate endings a good ending in which you save the girl and float off to heaven and the bad ending where you fail to save the girl and you possibly meet her in the afterlife. Either option is bad for you the nameless spirit. It almost seems inspired by the film Ghost and All Dogs Go To Heaven both of which conclude in a similar way to this tale. So why enter this into Horror Obscura? After all this game is not exactly scary. Well like with a lot of the weird games your going to see in this series they’re not all going to terrify you to the core but they will at least contain mild elements linked to the theme of horror (also its my series so i’ll do what I want). Avenging Spirit is a game with very dark elements wrapped up in Christmas wrapping paper. Your character is dead and spends the entire game possessing bad guys who expire under your possession. Lets also not forget your girlfriend can die in this game if you don’t make the correct steps to prevent this. Finally despite all your efforts you constantly have to deal with the fact that your character is dead and no matter how many bad guys you possess and kill and if you rescue your lover you’re going to expire regardless. That’s pretty dark. Avenging Spirit is definitely worth checking out. Its dead cheap on the 3DS virtual console and if you want to look into the game further you may want to check out the original arcade version in all its colourful nineties glory.